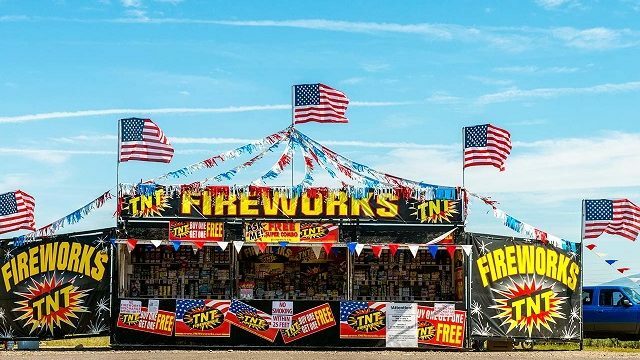 The Fourth of July is a day we Americans group to celebrate with gunpowder. But I wonder what we’re celebrating. Perhaps a denial of the truth. War: A permanent part of our culture, but does it have to be? As a veteran, I’m wondering why the culture of war prevails, and indeed why we’re so enamoured by it. They might have been chased out of the Middle East, but Islamic State is now setting up shop on our doorstep. What does the next generation think of today’s issues? The Big Smoke’s Next Gen program publishes Australian students mentored by TBS writers. Today, Giselle Atlas (11) celebrates Zynab Al Harbiya, the 12-year-old Australian victim of Islamic State. Morn-o. What happened while you were asleep? Well, we saw a new side to Clive Palmer, the same old side of warfare, and a welcome, furrowed brow on QandA. Hooray. Oh, the week that was. Mosul was invaded by an infighting coalition, Turnbull holstered his vote for guns and Bill Leak faced the HRC. While ISIS have lost ground of late, national stability in Iraq is a distant goal. Unity is not in Iraq’s past, nor probably its future either. What happened while you were asleep? Well, The Chilcot Report panned Blair going to Iraq, while Blair would go again, and justice was served. Sort of. Rich Jackson’s weekly #longreads: how the press ended Bernie Sanders’ run for presidency, the unclimbables of north-west Canada, and the two-facedness of ISIS and revival of Shia in Iraq. Michael Burrill returns for this week’s Current Affairs Wrap, bringing us Tony Abbott in Baghdad, Charlie Hebdo, Nauru and unemployment. Rich Jackson summarises where the infamous Blackwater case is now and, more importantly, how it reflects on the US government and its use of private contractors in war. In this week’s Current Affairs Wrap, Michael Burrill tackles climate change, metadata and Iraq, Andrew Wilkie’s asylum seeker outrage and the passing of ex-PM Gough Whitlam. From the whistleblower to a bit of dog whistling to homegrown terrorists caught with all the bells and whistles, it’s just another weekly Current Affair Wrap from Michael Burrill. Terrorism: High alert or highly overstated? Now that the terrorism threat to Australia is at an all-time high according to the government, April Davis is wondering if it’s worth our while to be more alarmed. Choosing the John Pilger talk as his annual trip to FODI last weekend, Lachlan R Dale left with a bitter taste in his mouth and not much respect for Pilger himself.